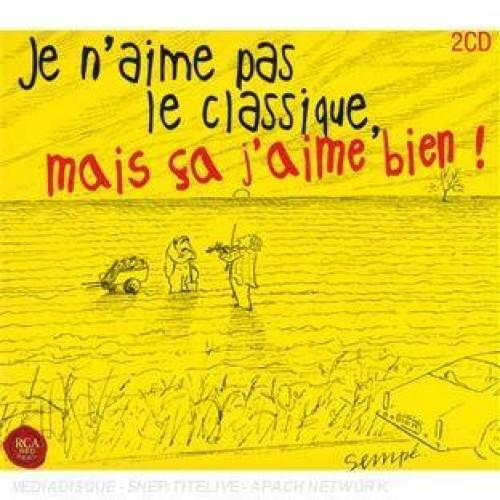 . .: compilation musique classique [MULTI] :. .
02-Royal Philharmonic Orchestra: Leonard Bernstein_ Somewhere (West Side Story). 03-Prager Philharmoniker: Woods, Campbell & Connelly_ Try A Little Tenderness. 04-Ensemble Roby Lakatos: Rota_ Love Theme (The Godfather). 05-Studio Orchestra: Doyle_ Life Goes On (Soundtrack - Gosford Park). 06-National Philharmonic Orchestra: Massenet_ Méditation (Thaïs). 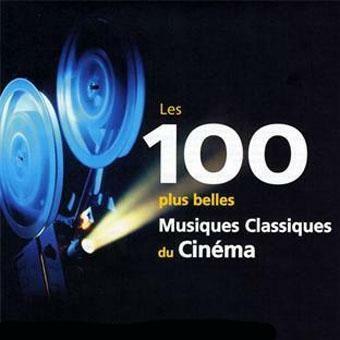 08-London Festival Orchestra: Godard_ Berceuse (Jocely). 09-Orchestre de Paris: Saint-Saëns_ Der Schwan (Der Karneval der Tiere). 10-Prager Philharmonike: Morricone_ Nuovo Cinema Paradiso. 11-Studio Orchestra: Burwell_ The Trial Of Ed Crane (Soundtrack - The Man Who Wasn't There). 13-Heinz Hollinger: Marcello_ Ardagio (Oboenkonzert d-moll). 14-Chamber Ordchestra of Europe: J.S.Bach_ Largo (Klavierkonzert f-moll BWV 1056). 15-Anna Gourari _ Chopin_ Nocturne Nr. 1. 16-Göteborgs Symfoniker _ Martin_ Old Boston (Three American Sketches). 18-Prager Philharmoniker _ Morricone_ Gabriels Oboe (Music from The Mission). 01-Grieg _ Morgenstimmung (Peer Gynt _ Suite Nr. 1). 02-Mussorgsky _ Ballet der Küklein (Bilder einer Ausstellung). 03-Mussorgsky _ Der Marktplatz in Limoges (Bilder einer Ausstellung). 04-Schostakowitsch _ Walzer Nr. 2 (Jazz Suite Nr. 2). 05-De Falla _ Canción (Suite Popular Española). 06-Shearmur _ Good Morning Bess (Soundtrack _ K-Pax). 07-Debussy _ Goliwogg's Cake-Walk (Children's Corner). 08-Bach _ Allegro Ma Non Tanto (Oboenkonzert A-dur BWV 1055). 09-Vivaldi _ Il Gardelino (Flötenkonzert Nr. 3 D-dur RV 427). 10-Mozart _ Allegro III (Klavierkonzert Nr. 27 B-dur KV 595). 11-Grieg _ Schmetterling (Lyrische Stücke op. 43 Nr. 1). 12-Tschaikowsky _ Tanz der Rohrflöten (Der Nußknakcer). 13-Fauré _ Ouvertüre (Masques et Bergamasques Op. 112). 14-Rimsky-Korsakov _ Hummelflug (Zar Saltan). 15-Bizet _ Finale. Allegro Vivace (Symphonie Nr. 1 C-dur). 16-Mercadante _ Rondo Russo (Flötenkonzert e-moll). 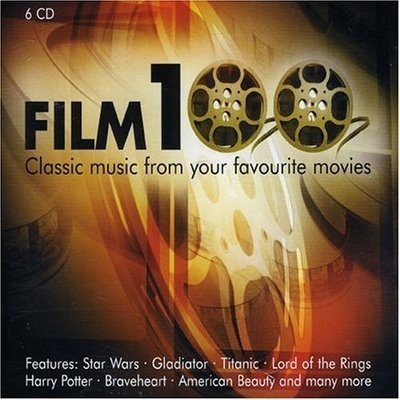 17-Novello _ Waltz Of My Heart (Soundtrack _ Gosford Park). 18-Goldenthal _ The Journey (Soundtrack _ Frida). 19-Horner _ My Heart Will Go On (Music From Titanic). 20-Zimmer, Gerrard & Badelt _ Now We Are Free (Soundtrack _ Gladiator).